North Point Community Church’s Alpharetta campus is often referred to as the ‘mothership’ of North Point’s six Atlanta campuses, primarily because it’s been here the longest and serves the most people. On any given Sunday, 3,000 volunteers serve almost 6,000 adult attendees in three live services. 1600 couples meet in small groups at least three times each month. There are over 170 men’s groups and 220 women’s groups. And twice a year, GroupLink is attended by over 1,600 people looking to join in group life. Because for years, North Point had so many people who wanted to be in groups, their demand for spiritually mature men’s group leaders often exceeded the supply. New groups had to be put together without a leader, charged with selecting one from within the group. 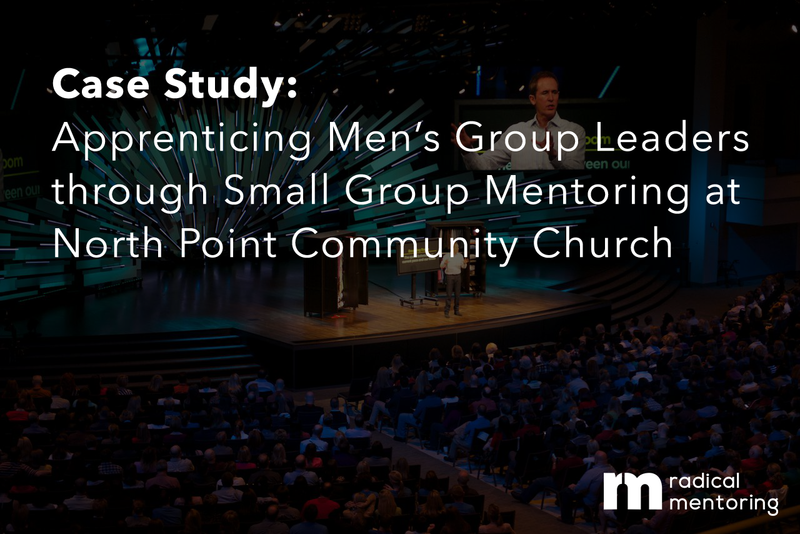 A common problem many churches face, the North Point team wanted to be proactive, embracing their core value of apprenticing by finding a way to raise up and equip high-quality men’s group leaders. They pulled together a team of men who established a vision statement for the men in groups at North Point . . . Together, the team began to evaluate every available curriculum for apprenticing male disciple-makers. Beginning with the idea that leadership is caught more than taught, their search was for something more experiential than informational. 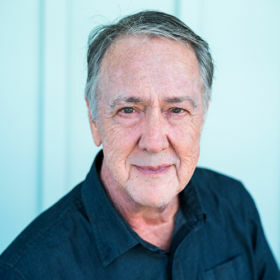 Several of the team’s advisors had been through Radical Mentoring, a men’s small group mentoring process based on the mentoring style of Jesus. They recommended the team consider it and after looking at other options, they decided to build a leadership development process using the ‘bone structure’, making modifications to fit North Point’s unique culture and environment. They decided to call it Leader Development Groups or LDG. The goals of the Leader Development Groups are . . .
That men will experience authentic community to grow in their walk with Jesus. After graduating from an LDG group, at least 70% of the men will testify to being “fully known by a few.” When men experience authentic community, they are more motivated and equipped to replicate that kind of community in groups they will eventually lead. 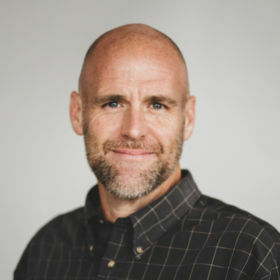 That 50% of the men who graduate from an LDG group will be active in ministry, engaged in their unique calling to make disciples within six months. Here’s what North Point’s Leader Development Groups program looks like, step by step . . . 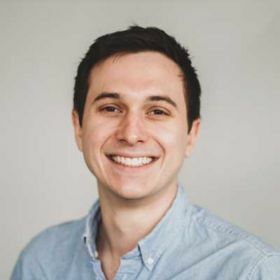 The highest quality male leaders, including many elders and stewardship team members, were approached and personally recruited to become mentors. Their job would be to mentor 6-8 men for a 9-month season. Robby met with and vetted each man personally. Current men’s group leaders were asked to nominate one or two guys who were committed Jesus-followers. These were to be guys who weren’t currently leading anywhere but exhibited leadership potential. In the first round, the current leaders, nominated about 160 men. Each nominee received an email describing the program and inviting him to apply. A video message from Clay Scroggins, the Campus Pastor, described the opportunity and explained how the invitation to apply was an honor. To complete the application, each man submitted his faith story along with family and demographic data. 92 applications were received. Robby reviewed the applications, prayed over them and selected 80 men for the pilot groups. 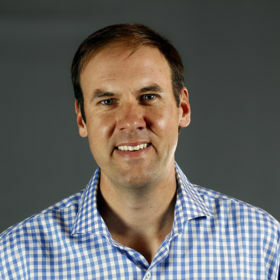 He grouped men of similar age, geography, and marital status, matching mentors to groups based on the knowledge he’d gained through the vetting process. Each mentor was asked to select a co-mentor from his sphere of influence. Robby also vetted these co-mentors to ensure quality and spiritual maturity, assuming many (if not most) would go on to become mentors. After setting the date for Launch Night, each mentor/co-mentor received their list of assigned mentees. They reached out, congratulating each man on his selection and gaining their commitment to the program and to attending Launch Night. All the men gathered at the Alpharetta campus for Launch Night. After some inspiring words and worship, the groups got together for the first time, set their meeting dates for the entire nine months, including two overnight or all-day retreats . . . one in Month 2 and the other in Month 9. Each month, the groups met at the mentor’s home for three hours. The monthly regimen follows the Radical Mentoring format, which includes . . .
completing both a relational homework assignment (usually related to improving one’s marriage) and/or a personal homework assignment (related to improving oneself) and coming prepared to debrief. During the first meeting of each Leader Development Group, the mentor and co-mentor told their full, unabridged, unfiltered faith story. The second meeting was an all-day or overnight retreat where each man told his As a result, transparency and vulnerability accelerated, creating a high trust environment within the first three meetings. These men then did life together for nine months, led by a spiritually mature mentor and co-mentor. They shared dinner together with their wives and the wives of their mentors. They ended their season by developing their own personal ministry plan, committing to ‘pay it forward’ by investing in others as disciple-makers within North Point. Season 1 of the Leader Development Initiative wrapped up with an all-day retreat for each group. The retreat concluded with all groups meeting back at the church for a joint celebration. Men from each group rose to share what God had done in their lives through the group. Before the mentors served communion, their guys each took a confidential, anonymous survey. Here are a few key findings from the survey . . .
100% said they were Satisfied or better, with 80% saying they were Very Satisfied. Because of the Leader Development Group experience, my walk with God has . . .
88% felt they improved as a Man. Similarly, 82% felt they improved as a Leader. This group is helping me develop as a MAN . . . This group is helping me develop as a LEADER . . .
58% said they increased their giving, with 13% saying it was a significant increase. My giving to the church and/or other Christian ministries . . .
90% felt they had deep or very deep relationships with their group. And relatedly, 82% said they were fully known by and were tracking with another man. Overall, if I were to rate my relationships with the other men in my LDG group as . . .
North Point’s survey looked for feedback to improve the process, gauging outcomes versus goals. With 90% of the men stating they are “fully known and tracking with another man,” LDG achieved its first goal. And while it’s too early to tell if it’s also achieved the “50% involved in ministry” goal, the early results are promising. Although Leader Development Groups weren’t launched as a discipleship tool, 97% of the participants said they improved or significantly improved in their walk with God through their group. And while there was no goal regarding giving or stewardship, it was encouraging to see that generosity increased. Summary: North Point’s Leader Development Groups are about to launch their 6th season. It is now considered a crucial part of what the church does. All of North Point’s Atlanta-area campuses have launched LDG as well as several strategic partner churches. A pilot test of a women’s version of LDG is underway, followed by a couple’s version in 2018. 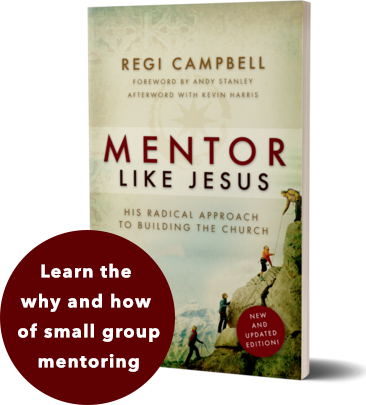 Small group mentoring can help you engage your men, build your core group of leaders, and transform your church. Our free resources equip you with all the tools you need to launch a sustainable mentoring program.